Goodreads: Susannah Fraser lives in one of Buffalo’s finest mansions, but her monstrous husband makes the home a terrible prison. 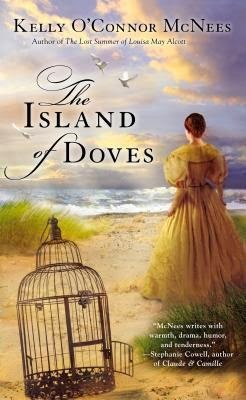 When a local nun offers to help her escape, Susannah boards a steamship headed for Mackinac Island and a chance at freedom. Kritters Thoughts: Susannah left her parents to cling to her husband and a sudden death of both of her parents and a husband who isn't living up to the marriage vows plunge her into a place that she doesn't find the hope. A woman in 1835 doesn't have many options and through an interesting avenue is able to find a way out of her situation, but will her past come and get her. . . Without this book set in 1835, the women's issues would be different, so the time was vital but also so very interesting. I loved that even though it was set in a different time it was still easy to read, the author didn't make the language to out of it; although the setting and the dress of the time were described in perfect detail! I can not say enough good things about how the time in history was set up so well, I got lost completely in it! My second Kelly O'Connor McNees book and loved this one the same if not more than the previous one I read. If you are a historical fiction fan, then this is an author to put on your immediate read list! I love Kelly O'Connor's writing. This one is on my bedside table and I can't wait to get started...especially after reading this great review. Thanks!